Nico (who has read nearly *all of X-Men* before) and Jonah (pretty new to X-Men) begin their Uncanny X-Men journey with Giant Size X-Men #1, Giant Size Fantastic Four #4, Uncanny X-Men #94-100, and Classic X-Men #1-8. 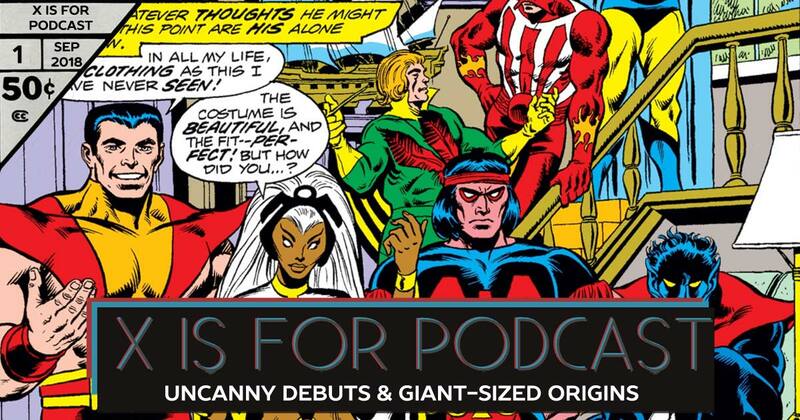 This episodes kicks off a series that will span the Marvel Universe and its titles following Marvel’s merry mutants (and their misadventures). Join co-hosts Nico, Jonah, Kevo, Kyle, Pete, and more as they hope to survive the x-perience.